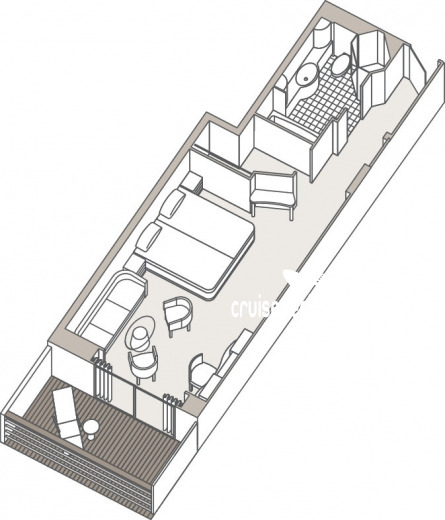 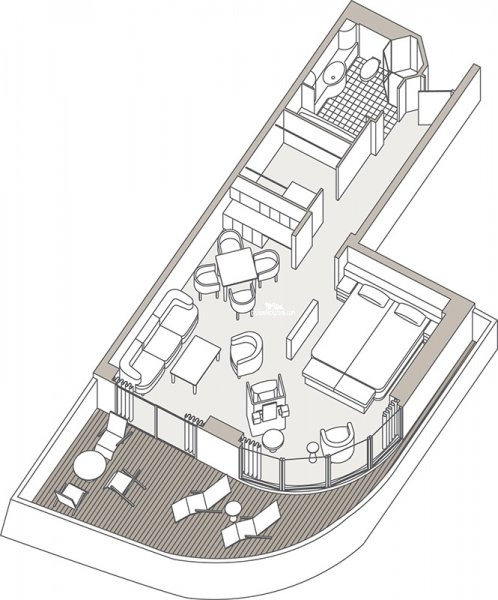 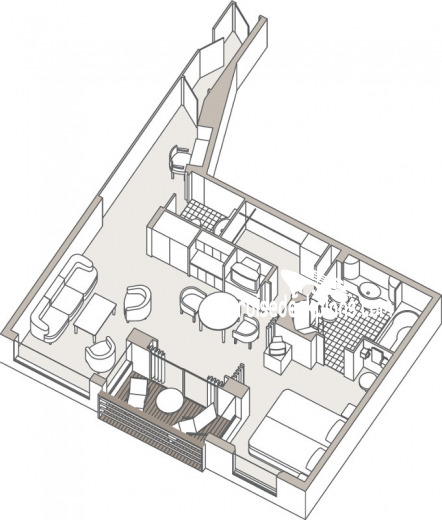 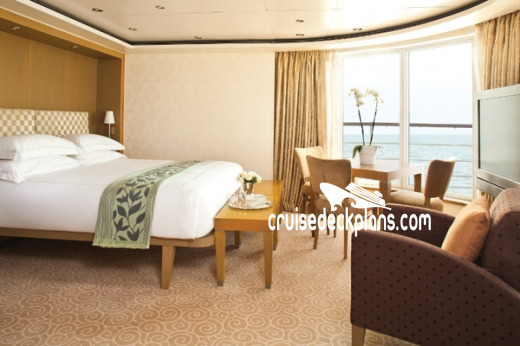 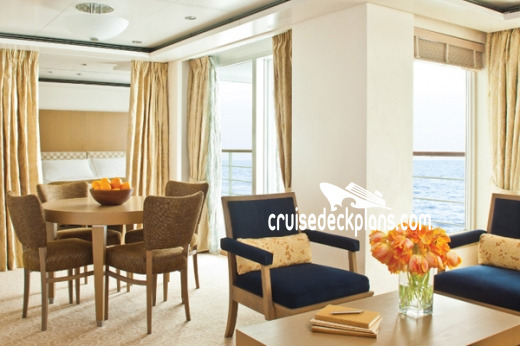 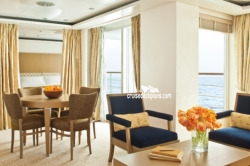 Deck 7 stateroom size is 1152 square feet plus 183 square foot balcony. 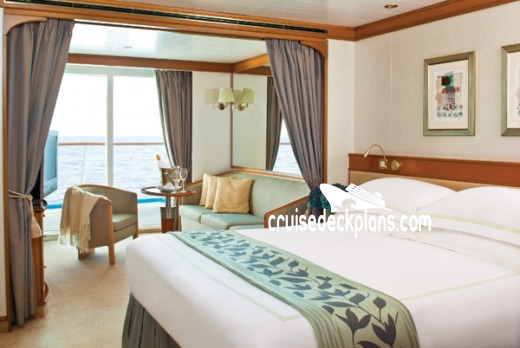 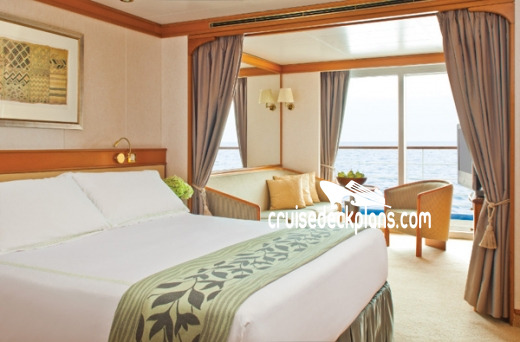 Deck 11 stateroom size is 1216 square feet plus 187 square foot balcony. 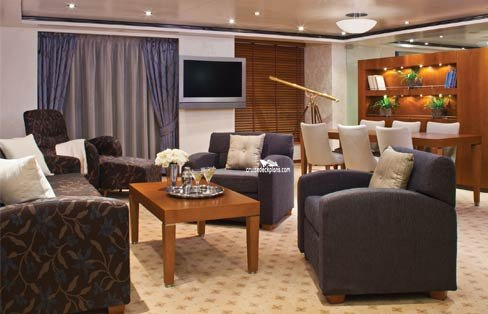 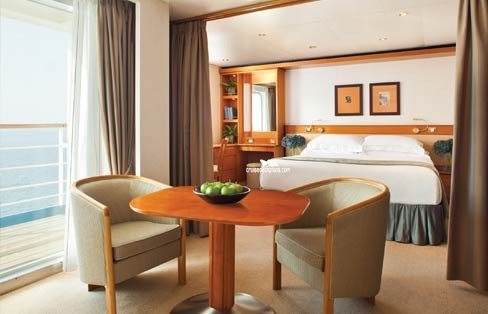 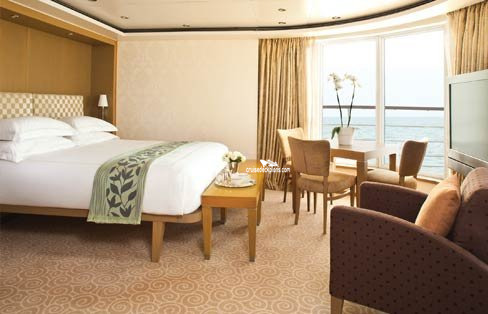 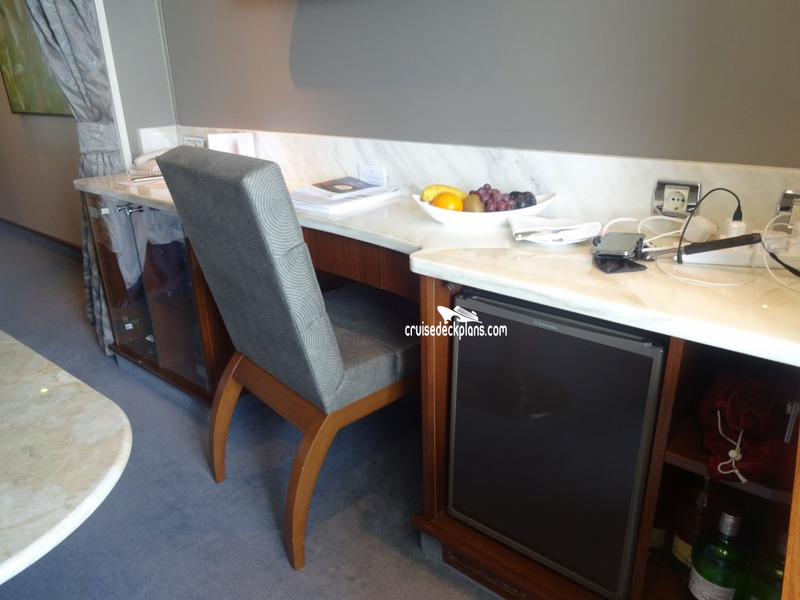 Amenities include stocked refrigerator with soft drinks, in-suite bar set-up upon embarkation, cotton robes. 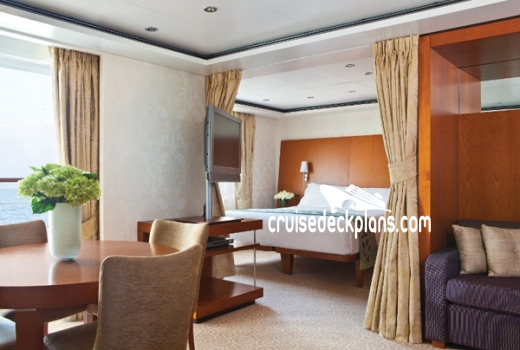 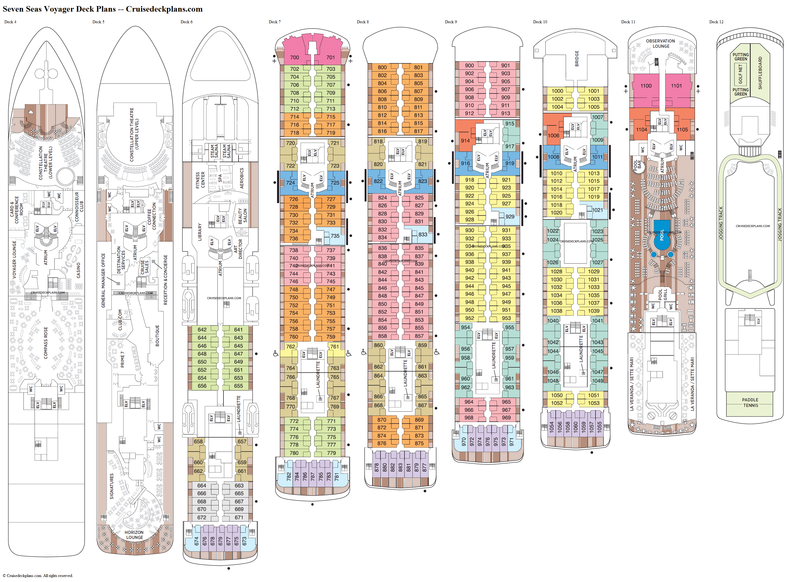 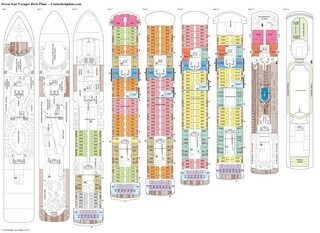 Category SSA stateroom is 441 square feet plus a 215 square foot balcony. 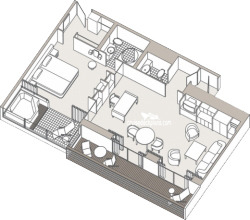 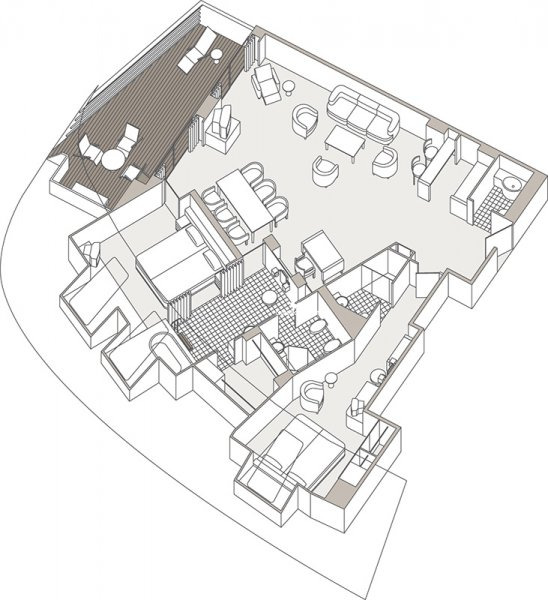 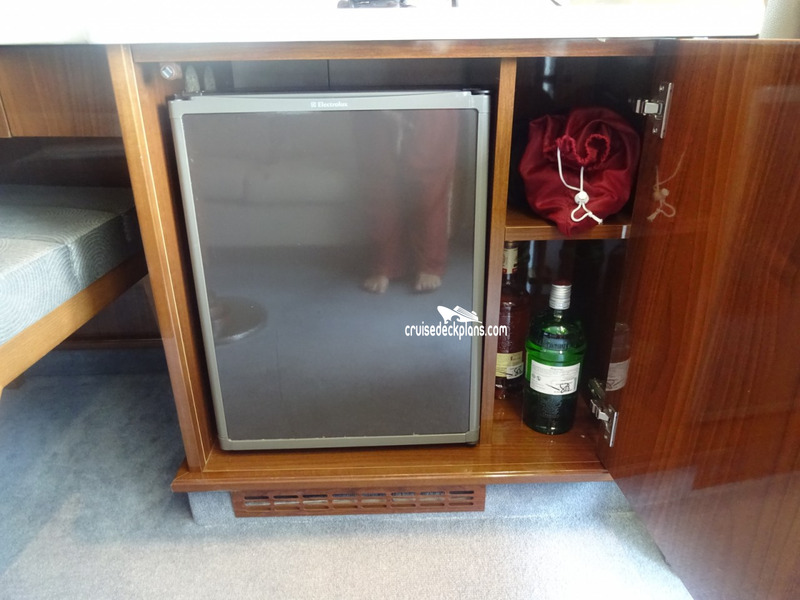 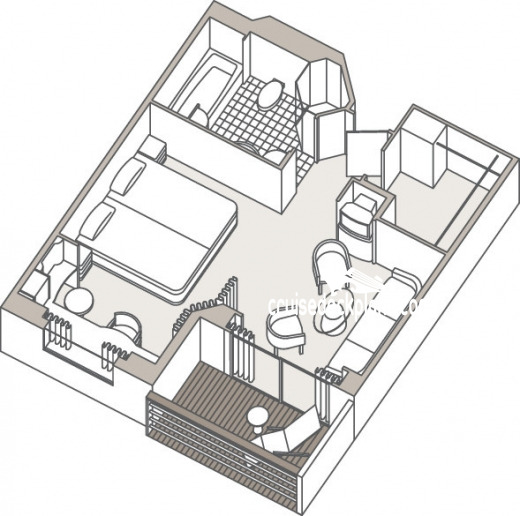 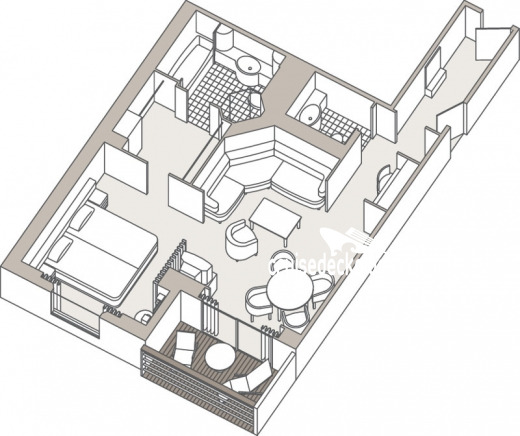 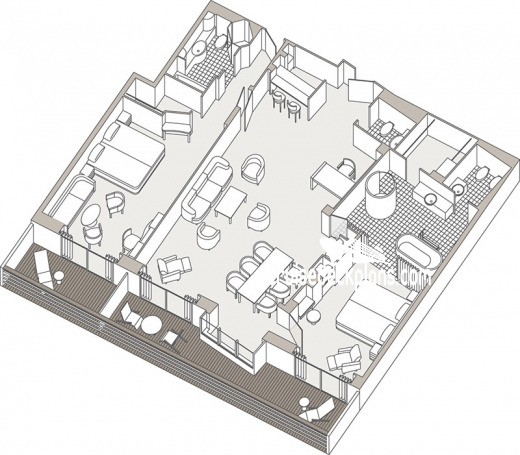 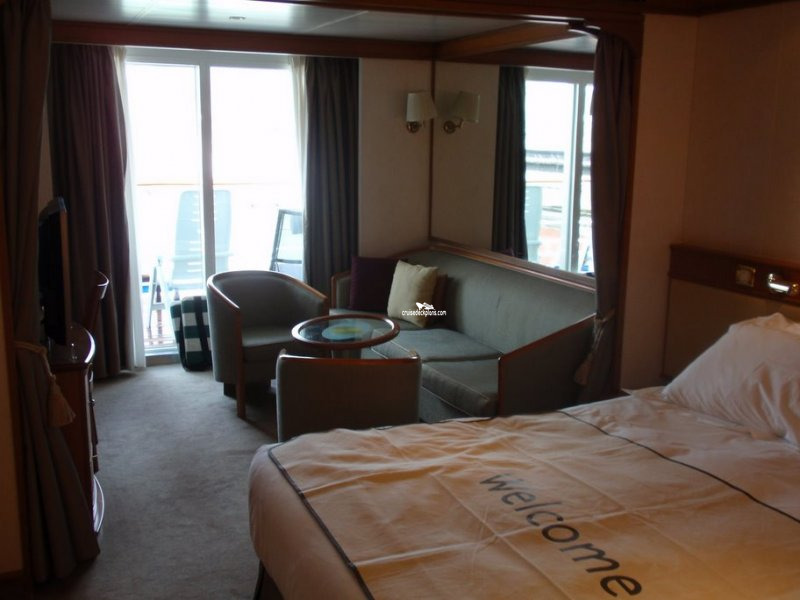 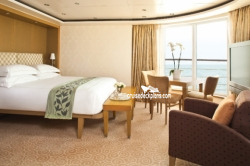 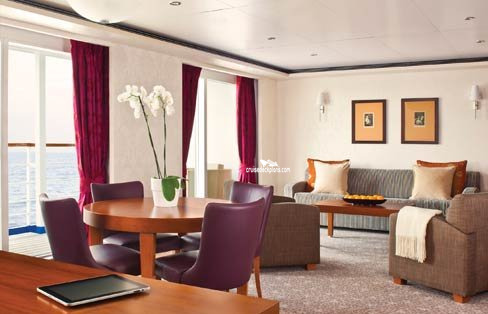 Category SSF stateroom is 495 square feet plus a 50 square foot balcony. Balcony size ranges from 105 to 180 square feet.